Larissa Fernand: Welcome to Morningstar. I'm Larissa, the Editor. 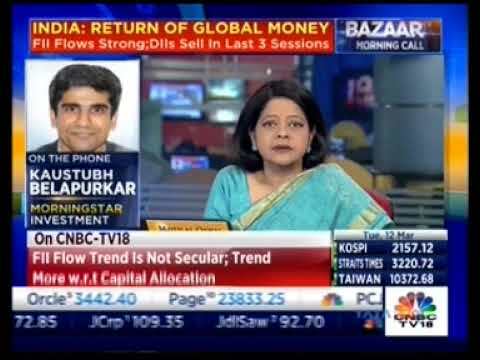 Joining me today is Senior Fund Analyst, Kavitha Krishnan. Fernand: Kavitha, I wanted to talk about SBI Mutual Fund. The fund house has been gaining a lot of positive traction recently and their funds are once again grabbing the limelight. So, what''s the driving force behind it? Krishnan: The fund house did witness quite a lot of flux in the pre-2008 era with the whole of the investment team moving out. However, Navneet Munot joined them in 2008 and R Srinivasan joined them in 2009 and the duo really credited with turning around the fortunes of the fund house. So what they really did was to streamline the processes, bring in a lot of new changes in terms of the people, the processes within the fund house. They created templates for individual funds based on their individual mandates. They also ensured that they adhered to the processes that they designed and that's one of the best things that they did. So, overall, this resulted in a better performance and the execution of the strategy which in turn was reflected in the overall better performance of the funds. 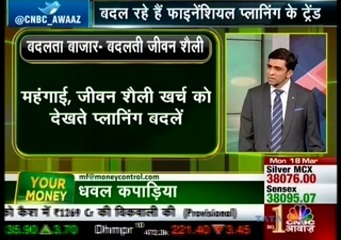 And this is what has probably led to the increased interest of investors towards these funds. Fernand: So, it is the fresh blood, so to speak, that has contributed to the turnaround. So can you just get a little more specific on the people factor? Krishnan: Sure. So, we have already talked about Navneet and R Srinivasan. Navneet is a CIO at the fund house and R Srinivasan joined them as a portfolio manager in 2009 and started heading the equity desk since 2011. So both of them really did bring in a lot of new people within the team and they have also elevated Sohini Andani, who has been with the fund house since 2007, into the investment team. So she is currently managing funds. Earlier, she headed the equity research desk at SBI. And the three of them put together really groomed the analyst team within the fund house. So the analyst team consists of about eight members and they were really hired fresh out of college and they have been groomed and trained in house and they now have over eight years in terms of the average experience. So we see that as a positive. Another factor that I'd really want to bring about is the fact that they run a multi-cap analyst-driven portfolio which consists of the best investment ideas from individual analysts. And in addition to that the analysts are also named fund managers on a lot of sector funds. So the kind of exposure that an analyst gets within the fund house is quite significant. And overall, we see that on the people side they have made a lot of progress in terms of where they were versus where they are. 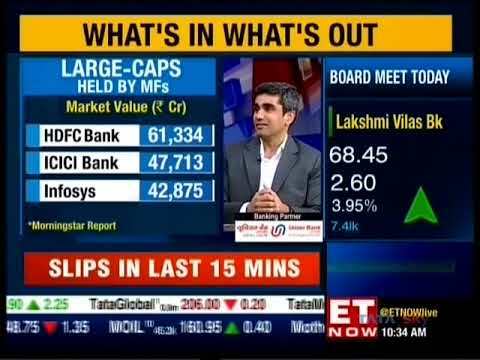 Fernand: Kavitha, let's discuss a specific fund, SBI Magnum Midcap. Hasn't the fund been putting up some great numbers recently? Krishnan: So, the SBI Midcap Fund has risen like a phoenix from the ashes and it is because it has now been backed by a really strong set of people. The adherence to those strong in-house processes have been very stringent. And Sohini has been an excellent stock picker. She has been recognized for the kind of stock picks that she has as a part of this portfolio. It is her best high-conviction ideas that form a part of this portfolio and this in turn has resulted in the better performance figures that you have seen across over the last couple of years. Fernand: Why don't you take us through fund's strategy? Krishnan: Sure, Larissa. 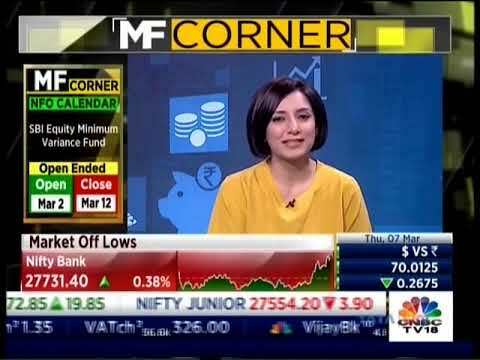 This is a midcap strategy which invests in Sohini's highest-conviction ideas. So, it's run on an absolute return framework and she looks at investing in companies that have a strong core competency and have a clear significant competitive advantage as compared to their peers. While the strategy's mandate allows it to invest up to 20% in large caps, Sohini currently holds about 67% in this segment. Having said that, most of the large cap stocks are midcaps that have grown into large caps and this gives the fund an additional cushion in terms of the added liquidity and we view this as a positive. Another thing I'd like to point out here is that Sohini can tend to invest in IPOs despite the slightly riskier stance on these given the fact that they don't have as much historical data available. Having said that, their fundamental research backs them up and this shouldn't be seen as a major risk on the fund. Given the three to five-year horizon on the fund that she looks at, she tends to overlook any short-term market aberrations in favor of looking at long-term returns and this could in turn lead to some underperformance over a shorter-term period. Fernand: What must investors keep in mind if they want to invest in this particular fund? Krishnan: So, one of the things that I'd like to highlight about this fund is that it has grown over eight times in the last two years and this in turn has resulted in a more diversified portfolio with the current holdings totaling up to about 60 which has actually gone up from about 35 in 2013. This has also resulted in the kind of concentration levels of the portfolio going down. So, while the fund held upwards of about 50% of its holdings in the top 10 stocks prior to 2013, this has now gone down to about 33%. While we don't necessarily view this as a negative, it's important to keep an eye on how the concentration levels within the fund are changing. Despite these changes we think that this fund is appropriate as a core holding as a part of the investor's portfolio given its midcap nature. Fernand: Great. Thanks so much Kavitha. This is Larissa for Morningstar. Thank you for listening.